Wine brings pleasure and is also becoming an important Canadian agricultural product. The wine grape is the most economically-important fruit on the planet, with more than 7.4 million hectares planted in vineyards worldwide. Viticulture, the cultivation of grapes, is also a fast-growing sector of the Canadian economy, particularly in British Columbia, accounting for about $4.2 billion in sales each year. Canadian wine-making creates many jobs among the growers, suppliers, distributors, and service providers that comprise the industry. Wine making has traditionally been regarded as more of an art than a science, subject to the vagaries unpredictableness of nature and insulated from the advantages of scientific study. Grape growers have experimented with the complex interplay of different light, soil and water conditions, but knew very little about what was actually happening inside the grapes. This is changing rapidly. 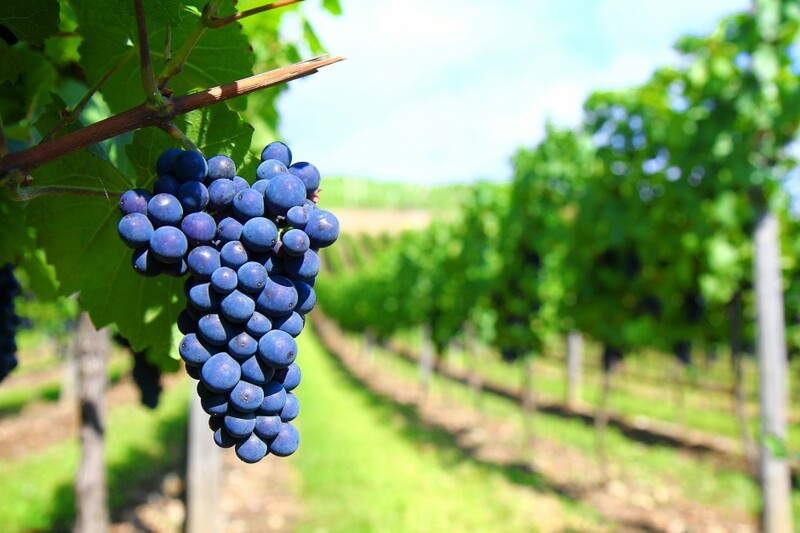 The application of new genomics and other related techniques now make it is possible to read the genetic blueprint of wine grapes and understand how genes function in processes like berry ripening and grape quality. As grapes ripen on the vine, sugars accumulate, acid levels decline, flavour and aroma compounds are synthesized, and red grapes acquire their pigment. The balance of these factors determines the overall quality of the grapes and the wine eventually made from them. The grower must decide when the balance is exactly right and when the time has come to harvest the grapes. Genomic tools will help let grape growers detect, direct and monitor the onset of ripening even before it can be seen in the grapes themselves. This information could translate into a major advantage: growers could synchronize earlier maturation and potentially produce more consistent, excellent wines. In addition to quality grapes, wine makers need yeast, the organism that ferments the grapes and converts grape juice to wine. During fermentation, yeast cells adapt to stress conditions of the process by switching on 62 genes of unknown functions, named Fermentation Stress Response genes. Researchers will discover function for each of these 62 genes and use that information to improve the fermentation process and overall wine quality. New technology in the wine industry brings new questions about where science and society interact. First, are Canadian wine producers willing to adopt new technology for both berry growing and wine production, and how does their adoption of new genomic technology compare with their competitors in other countries? Second, are members of the public willing to purchase wine products that apply certain genomics technologies and what determines these preferences? In collaboration with social scientists, this project will investigate public concerns regarding the use of genomics technologies in the production of wine and the general food industry. In the long run, this knowledge will be important in guiding appropriate and responsible ways of introducing genomic technological innovations to the wine industry.